I hope that if you and your family celebrate anything today, that you have a safe and happy holiday. A lot of people had Halloween nails, with ghosts, pumpkins, candy corn etc but I decided to do something a little different today. To me, this day marks the end of Autumn, at least here in Minnesota. From here on out, it gets super chilly and rather gloomy, with only occasional tolerable weather. Today however, I cherish the vivid colored trees and the taste of spiced cider. 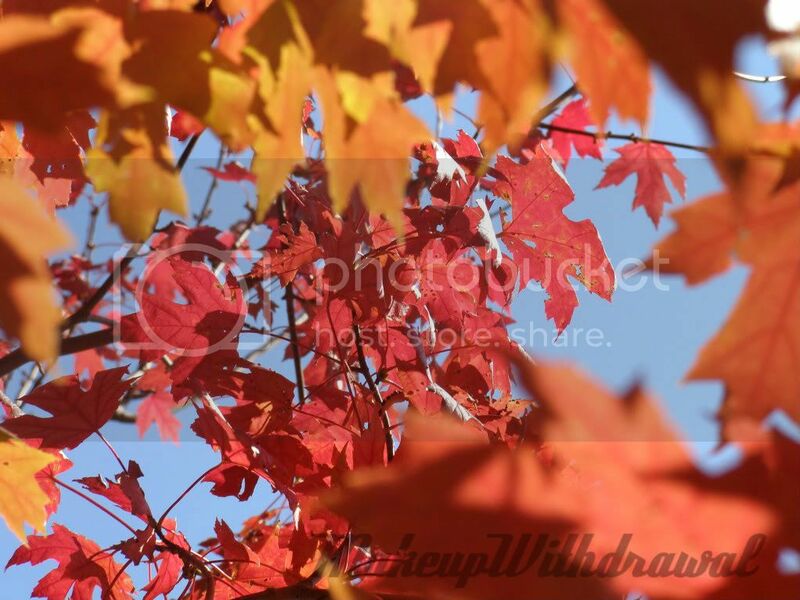 The giant picture above is from my backyard where I have a beautiful maple tree. I decided to do a manicure inspired by the beautiful colors I saw in that tree. 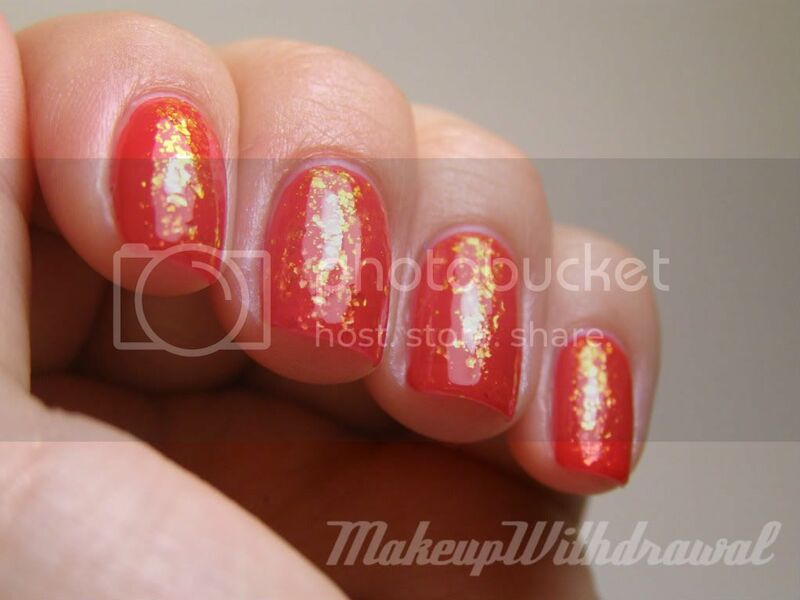 Predominately scarlet with winks of tangerine and flashes of goldenrod. I added a matte top coat, because I felt like it better represented the dry texture of leaves fallen to the ground, ready to be raked. This is what it looked like, shiny. 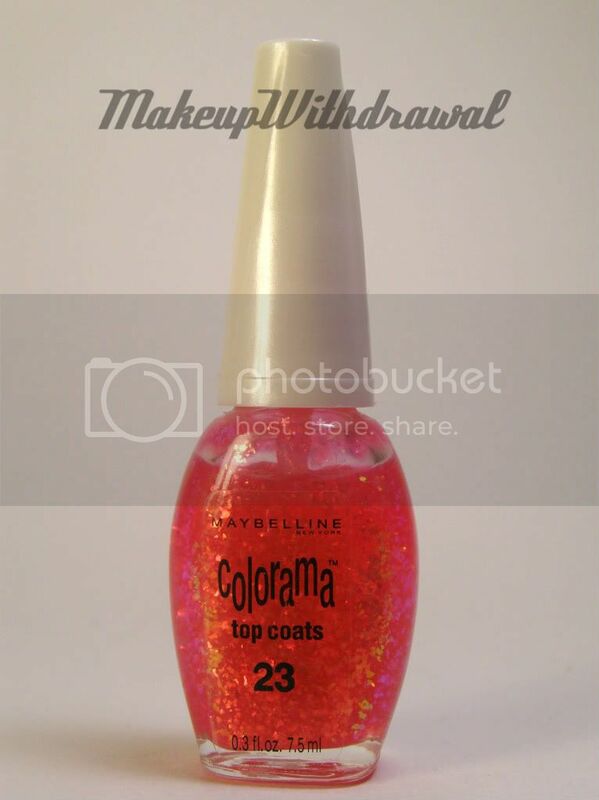 The flaked topcoat is from the now discontinued Maybelline Colorama line. It's #23 called Ruby Rays. 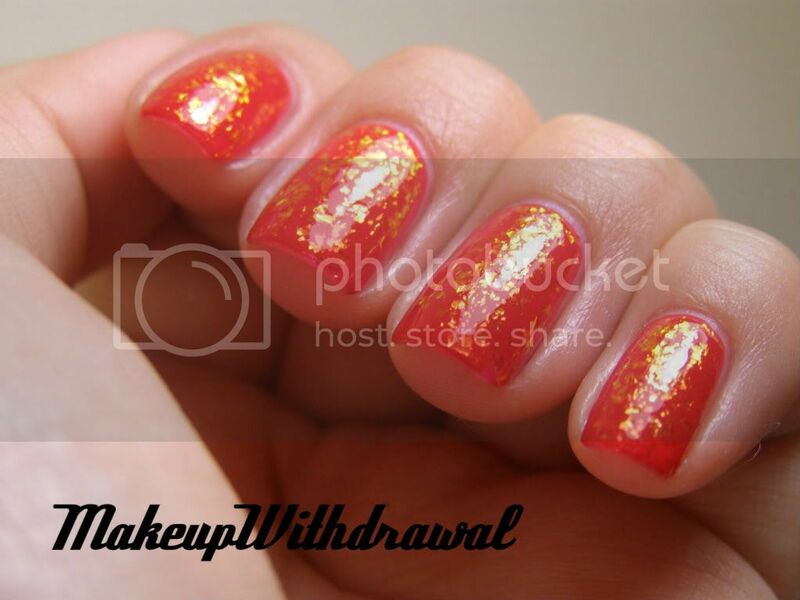 It has the same sort of flakies as found in Sally Hansen Hidden Treasure suspended in a bright translucent coral base. 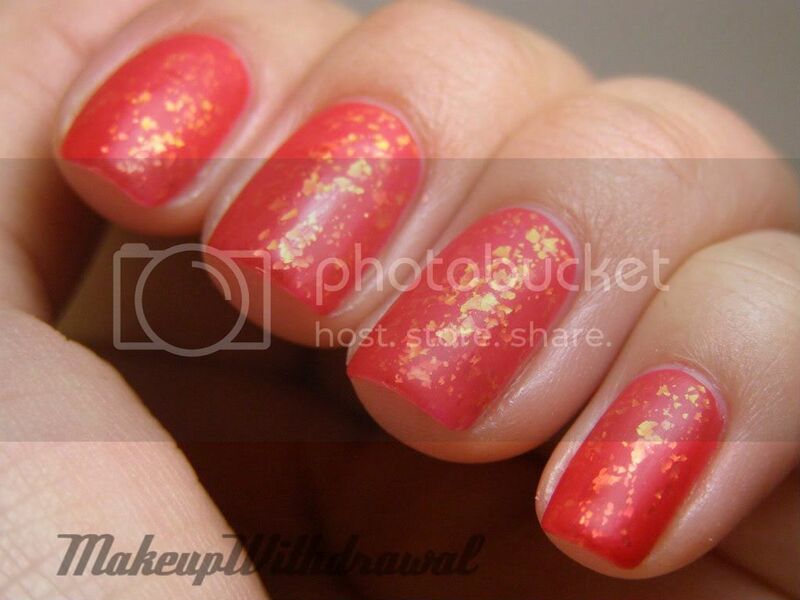 I used Essie Lollipop underneath and topped with Hard Candy Matte-ly In Love. Have a great night, everyone! Can't wait to see everyone's Halloween costumes, makeup and nails.